Thanks to everyone who participated in this year’s event. 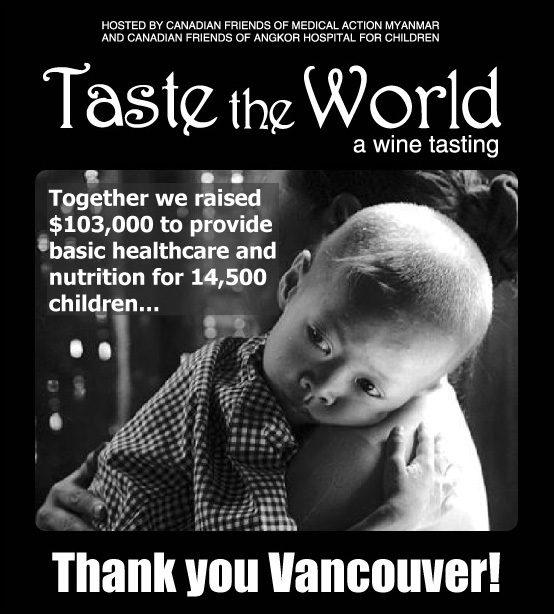 Together we raised $103,000 in net proceeds at Taste the World to provide basic healthcare and nutrition for 14,500 children…healthy children have a better chance of overcoming poverty and succeeding in life. We have had many generous donors, volunteers, sponsors and enthusiastic attendees. Your contribution makes this event a success year after year. 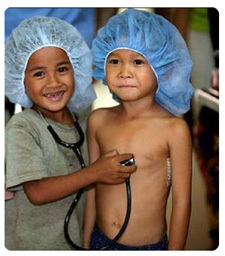 Proceeds of this event go directly to the Angkor Hospital for Children and Medical Action Myanmar to provide health care at their facilities in Cambodia and Myanmar.